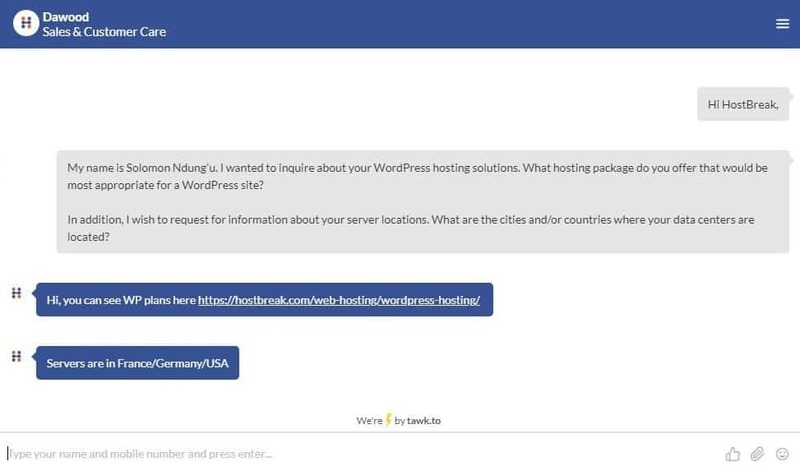 HostBreak Review 2019: Is HostBreak a Good Hosting? Web hosting provider HostBreak was started back in 2001 as a small hosting company in Pakistan. Today, HostBreak has managed to satisfy more than 10,000 customers with its web hosting services. Besides web hosting, the vendor also helps clients in website building, domain name registration, and advertising their websites. HostBreak is a Pakistani hosting company. The vendor has over 10,000 customers and has registered over 8,000 domains. Established in 2001, the hosting company provides a complete line of online services including website building, web hosting, and advertising services. Although HostBreak is not among the top ten hosting companies in Pakistan by market share, the vendor has the necessary resources to host even the most resource-intensive websites. HostBreak privately owns and operates modern data centers located in a number of countries around the globe, including the U.S., France, Germany, and Singapore. The data centers are designed to offer stability, reliability, and availability. The hosting company offers an array of hosting solutions for both Windows and Linux operating systems. The Windows hosting package is perfect for websites that use the .NET Framework, Visual Basic, C#, and Microsoft Exchange. The package also includes website building tools, IIS (Internet Information Services), and Plesk control panel. On the other hand, the Linux hosting package comes with the widely used, user-friendly cPanel control panel that allows users to handle files, email accounts, databases, and domains. The package also comes with a one-click installer and gives you access to 400+ CMS such as WordPress, Joomla, and Drupal, among others. HostBreak claims to offer the most reliable backup services with 99.999999999% reliability. The vendor offers daily automatic backups and full website restores. HostBreak offers some of the most affordable hosting plans in the Pakistani hosting market. Customers are billed on a monthly or annual basis. The vendor activates customer accounts as soon as the payment process is completed. The hosting firm also offers free website migration for customers moving from another vendor. HostBreak offers a 30-day money-back guarantee with the exception of VPS plans that include a money back guarantee of just seven days. This hosting company has a time-tested uptime guarantee of 99.99%. 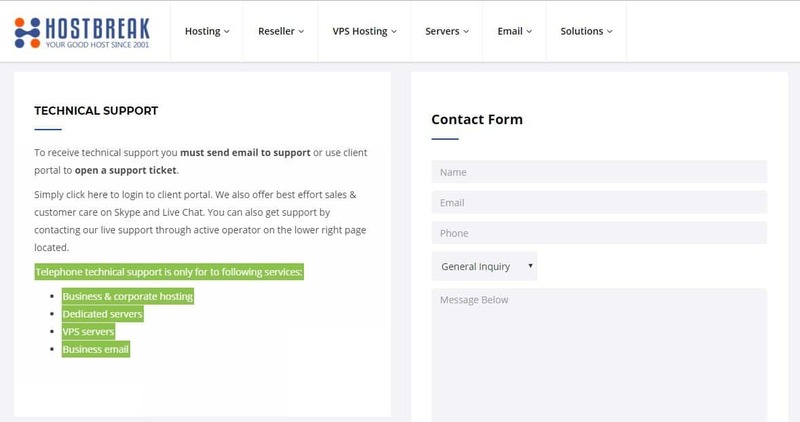 For any queries, customers of HostBreak can contact them via telephone, ticketing system, live chat, or by filling out the vendor’s contact form. HostBreak does not have a support email address. That said, it is available 24/7. Whether you’ve purchased the basic packages or advanced packages, you still get VIP treatment. The support team is very prompt; I contacted them via live chat and in seconds, I was conversing with a support rep who answered all my queries. HostBreak also has a comprehensive knowledge base to help users solve most of the basic challenges they are likely to face using the different hosting solutions available. HostBreak’s hosting solutions are some of the best in Pakistan. Supported by an unmatched system of infrastructure, including data centers in a number of locations the world over, this company has taken the hosting business a notch higher compared to many other vendors in Pakistan. The vendor’s support team is another reason many customers love this vendor’s hosting solutions. Enjoy reliable backup solutions with HostBreak! 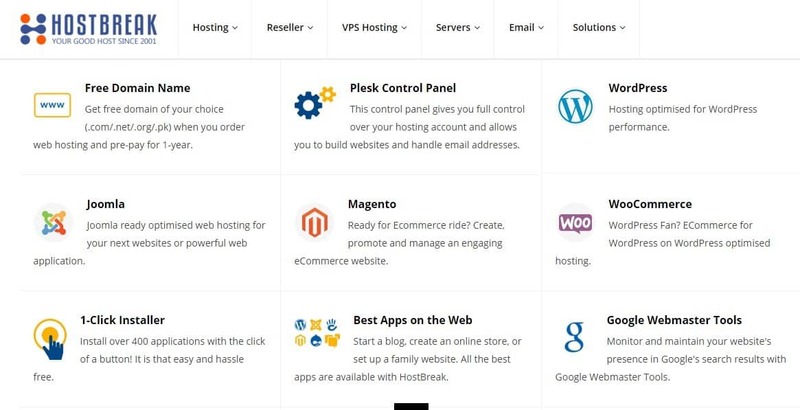 Wondering how HostBreak stacks up against other Web Hosting companies? Enter any other Web Hosting company and we will give you a side-by-side comparison.